Symbionature was born from a vision in which modern agriculture feeds people with radiant, healthy food without contributing to the deterioration of the environment and the health of consumers and producers. 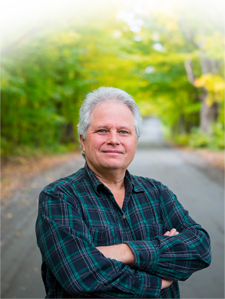 With almost 40 years of clinical practice in the natural health field, Michael Bernardin ND, President of Symbionature, has always believed and taught that the health of a society depends on the health of its soil and environment. He cofounded Symbionature in 2002 and resourced the Plocher® system of products conceived and produced in Germany. Inspired by biodynamics, these innovative products are easy to use, effective and have proven themselves for over 35 years. Due to the success of the agro-environmental company and the demand of Americana, Michael Bernardin decided to establish a second business in the United States in 2010. The North American market is proudly served by two distinct companies, one located in Quebec, Canada and one in Vermont, USA. Symbionature is distinguished by its high standards for quality and thoroughness. Application methods and dosages are always evaluated and product efficiency is verified. All products offered are 100% natural, therefore they do not contain any synthetic chemicals or toxic agents. Authorized for organic agriculture by Ecocert Canada, they are also suitable for conventional farmers who desire to modify their approach in reducing their chemical inputs and at the same time increasing the quality, taste and attractiveness of their crops. Producing quality food naturally is not only profitable but fun as well! Our mission : Providing farmers with technical advice and tools to grow crops and raise livestock while contributing to the improvement of the quality of the surrounding environment. The well-being of persons, their family and pets is also important to us. You will find unique quality products for the home in our online store. Let’s not forget that the real power of humans is seen in their collaboration with all life on our wonderful planet. Yes, a beneficial symbiosis is happening more and more.